← A small student desk makeover. 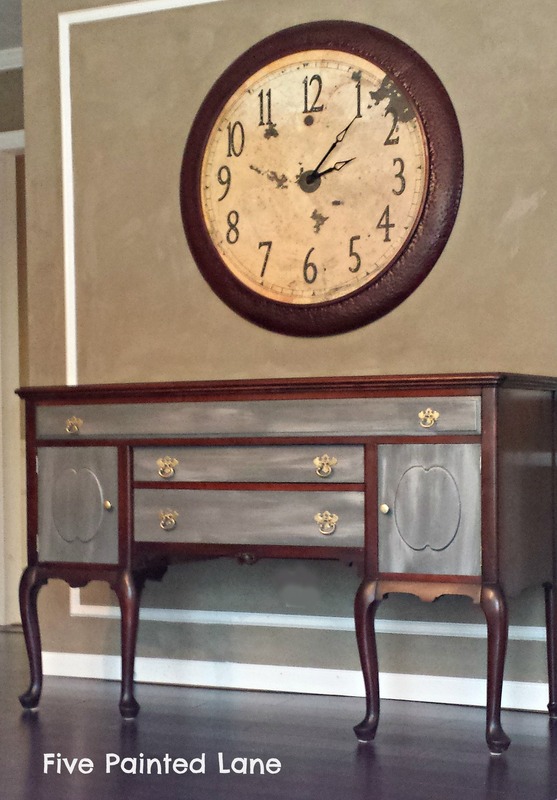 This buffet would look nice in a dining room used as it was originally intended. 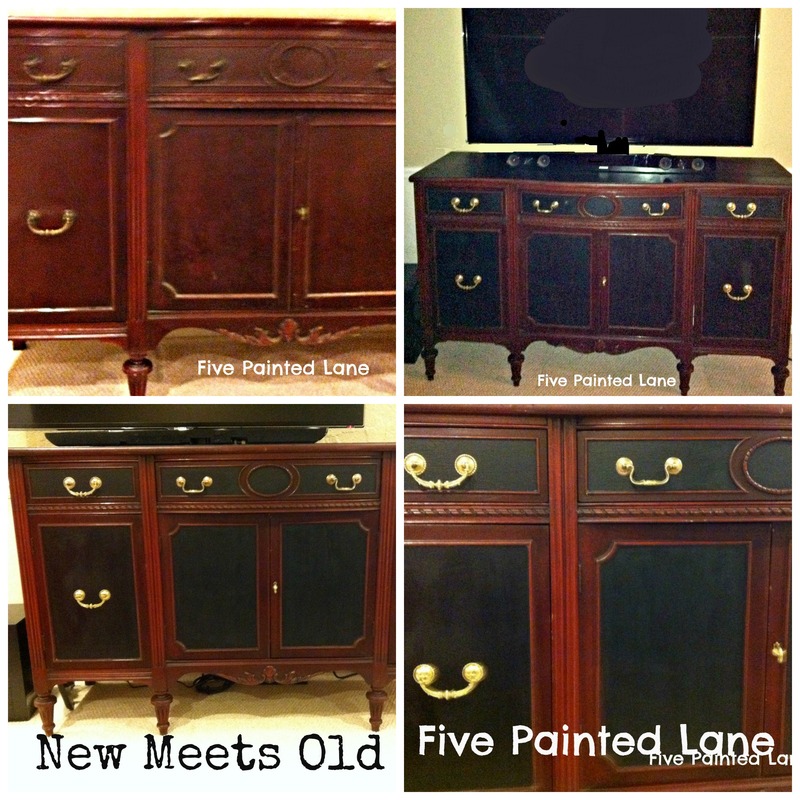 But last year I had a post ” Old Meets New” where I took an antique buffet and gave it an update to blend nicely with our flat screen t.v. It works perfectly with the movies and game systems kept underneath and the silverware drawer slots hold the remote controls. Here is a photo of that project. So when I came across this buffet I wanted to give it a bit of a modern industrial update. Televisions are no longer in armoires and entertainment centers, and whether flat screens are on the wall or on a stand these furniture pieces work well. When using this technique the plaster will lighten the paint color, my paint was very dark gray almost black getting started. I always start with a paint a few shades darker that what I want when I make my own chalked paint. This buffet top was covered in scratches and water marks. I sanded, stained and waxed the top to its original beauty. I gave the door fronts two coats of the gray chalk paint. After that dried I took a silver metallic paint and went over them with a dry brush technique. Dry Brush Technique: After putting the metallic paint on my brush I removed a lot of the paint. I did this by going back and forth on a brown paper bag until the coverage wasn’t thick and covering entirely. When it looks like a slight streaking of paint it is ready to apply to the project. Just use even strokes the length of the entire piece your painting avoiding entirely covering the first coat. Very nice .love the effects .